This is an optional Align 150 Swashplate Leveler. This swashplate is made from CNC aluminum alloy material and is specifically designed for 150 class helicopters. This leveler allows for precise swashplate level adjustment; this improves helicopter hover stability and flight performance. 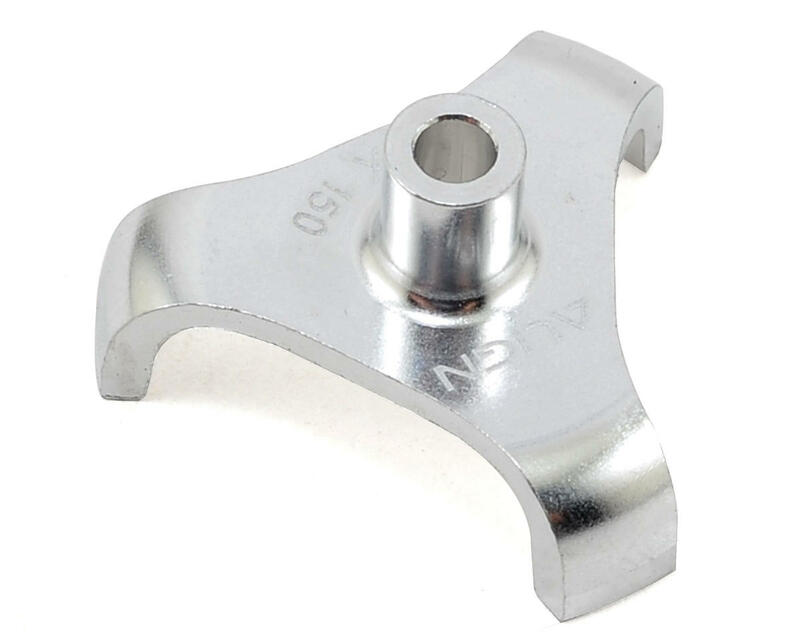 This leveler is specifically tailored for Align swashplate designs. This swashplate leveler does not contact the rear linkage of the swashplate. It will need some rework to make it work. I am considering purchasing an aftermarket leveler. 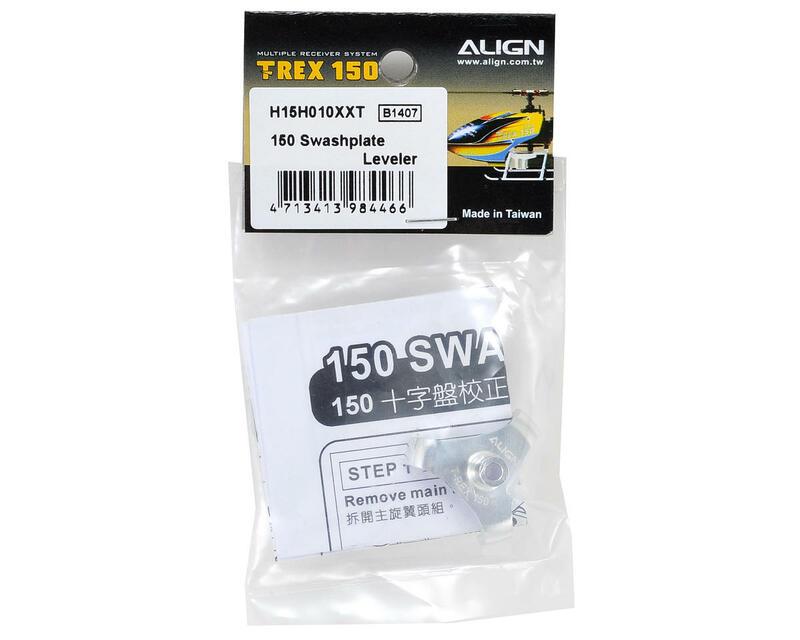 Does Not Work with the Trex 150x (RED) New swash plate. The new (RED) swash seems to have longer arms.